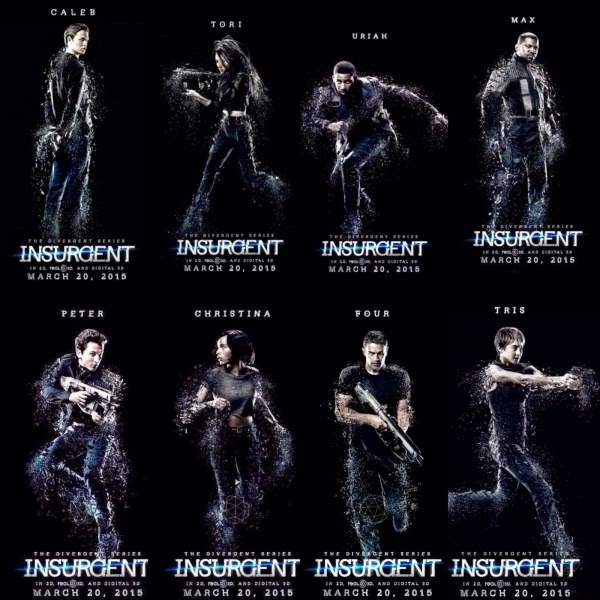 Insurgent is definitely more action packed than its prequel, Divergent. Tris Prior had also matured and become not only more Dauntless (brave) but have learned all characteristics which are supposed to be unique for each faction: Candor (honest), Erudite (intelligent), Abnegation (selfless), and Amity (peaceful). This was the same order by which she was able to unlock all sims (simulation/tests) from each faction in order to open an apocalyptic box with a message from the walled city’s (Chicago ruins) founding fathers. Much to the dismay of Jeanine (the Erudite leader who wanted to gain power over all factions), the message actually proclaims Divergents (or those who cannot be ruled and categorized into one faction) as the solution and not the problem for the faction system, which was only but an experiment from humanity or mankind existing beyond the wall. With Holy Week around the corner (supposedly for penitence), my thoughts are of that movie Prometheus. I can't help but think of the possibility that mankind can be similarly just but an experiment, an engineered race by species that are more technologically advanced. But it would be a better thought to believe in something divine instead (like God through Jesus Christ and the Holy Spirit), not controlling but allows free will. Going back to Insurgent, there’s too much information right? It would be easier if you start from the first movie/book Divergent where everything is introduced. See Divergent on Wikipedia. I saw it several times recently over cable TV and instantly loved it. 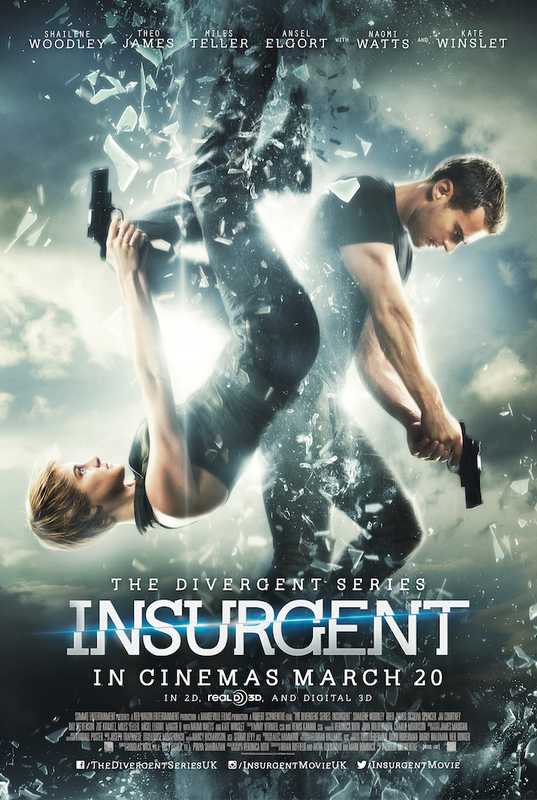 Insurgent occurs shortly after Tris, Four or Tobias Eaton, and company where on the run from Jeanine and her allies. The book and movie series ends with Allegiant, which will be split into 2 parts. Spoiler alert! Sadly, Tris, the main heroine dies in the finale with Four scattering her ashes while ziplining along Hancock Building. See Allegiant on Wikipedia. If you’ve seen the first movie, Tris (along with other Dauntless initiates) also experienced ziplining here as part of their initiation rites into their chosen faction (Dauntless) based on their tests or their own will. Divergent’s plot was widely compared with the Hunger Games. But I personally would prefer watching a 2-part Part 3 of Divergent (through Allegiant) than see Mockingjay’s milking cow scheme splitting the Hunger Games third and finale book into 2 movies with nothing but overly stretched plot on Part 1. Catching Fire was so much better as well as the first ever Hunger Games of course. Yes, I may have screamed how I love Katniss Everdeen back then but after seeing the Divergent movie series, I enjoyed it more. Shailene Woodley is also more believable for her stunts and her Dauntless-ness than Jennifer Lawrence will ever be. Despite being grilled by critics, Divergent was a cinematic success and had more than tripled its revenue from the original budget. This was not the plight of other teen books like City of Bones and I Am Number Four though. It was the Dauntless which got everyone interested during Divergent and it's still them who made the day in Insurgent. While most everyone wants to be Divergent (there's even a sim/test you can take through the official Divergent website), the next best choice is to be Dauntless rather than an Erudite or any of the other factions. Shailene Woodley and Theo James look good together too, much better than any of the beau of two-timing Katniss in Hunger Games (sorry). Kate Winslet is also still stunning even after almost two decades since Titanic (she's now 39). The same applies to Ashley Judd and Naomi Watts (both 46 currently). For the rest of cast, plot details, and all things Insurgent related, see this related page on Wikipedia.